Now you can perform your banking transactions on your Windows device just like you do on your computer with SambaOnline! It's easy, secure and available for all Samba customers. 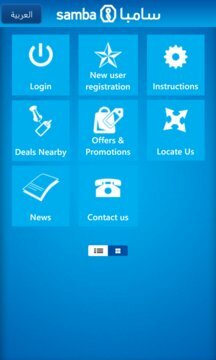 Simply download the SambaMobile application and log-in using your SambaOnline username and password. 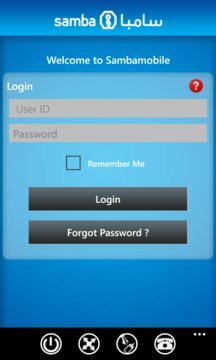 If you are not a SambaOnline user you can enroll directly from the SambaMobile application; simply click on “New user registration” and follow the instructions.